I know that a lot of users who upgraded to the Windows 10 or the Windows 8.1 operating system might have some memory RAM related issues. But you will find out below some tips on how to fix your Windows 8.1 or Windows 10 if the RAM usage went up after the update you made. The RAM usage went up after installing Windows 10 or Windows 8.1 first of all because the new operating system from Microsoft needs a few more RAM memory to operate as well as the applications you have installed on it. The lines below will show you how to better optimize your operating system and get your RAM memory down a notch. 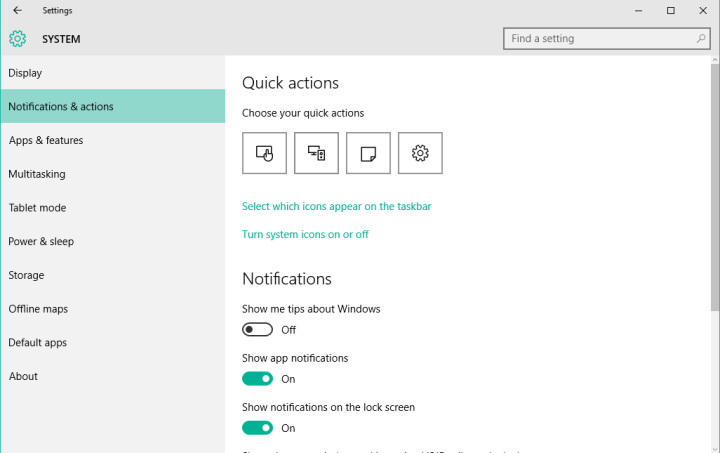 On the start screen of your Windows 8.1 or Windows 10 device you need to left click or tap on the “Desktop” icon. You will have there a “Computer” icon. You will have to right click on it or tap and hold in order to bring up the next menu. Left click or tap on the “Properties” option. Now in the properties window you will need to left click or tap on the “Advanced System settings” feature situated on the left side in the window. Now you have in front of you the “System properties” window. In the window above you should have a “Performance” topic and you need to left click or tap on the “Settings” icon. Now you have a “Performance options” window in front of you. Left click or tap on the option “Adjust for best performance”. Close all the other open windows. Reboot your Windows 8.1 or Windows 10 operating system. Check and see how your RAM usage is doing now. 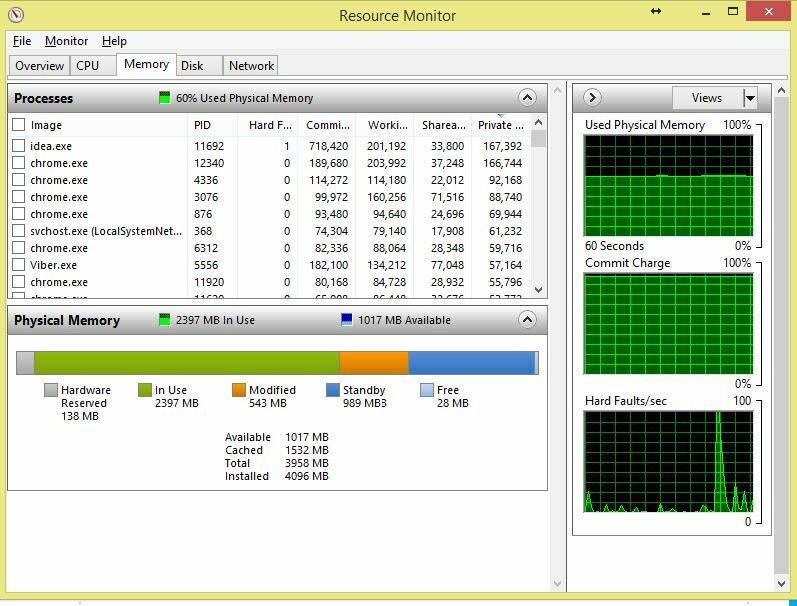 For a better improvement on your RAM usage, you will also have to check all the apps you are using inside Windows 8.1 or Windows 10 operating system. Note one: Uninstall the apps that you are not using or don’t need in the Windows 8.1 or Windows 10 operating system. 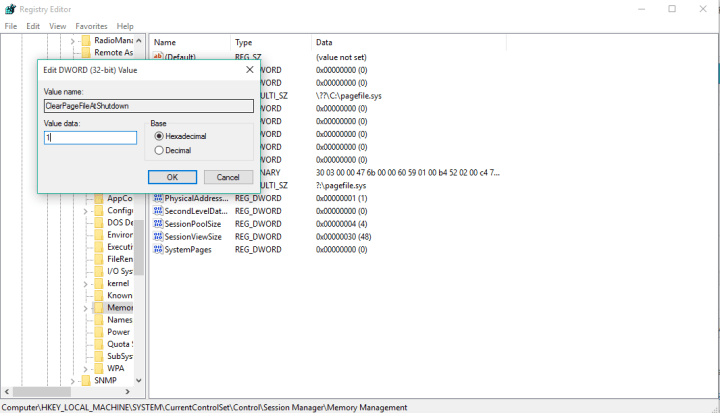 Note two: Check if one of your apps is using more RAM memory then it is supposed to(You can check this by opening the task manager and looking into the processes tab to see which app is using the most memory). See what programs are running at startup of the Windows 8.1 or Windows 10 device. If you don’t need all of them to startup when the Windows 8.1 or Windows 10 boots I would suggest taking them out and opening them only when you need it. You can use the described steps below to take out a specific app from the startup feature. Now that your run window shows you will need to write in there “msconfig” without the quotes. Now that you have the “Task manager” window in front of you left click or tap on the “Startup” tab situated in the upper side of the window. You will have there a list of programs that run at startup. If you want to disable them you only need to right click or tap and hold on a specific application and left click or tap on the “Disable” feature. In the run window you will need to write the following: “dfrgui” without the quotes. In the new window that shows you will need to left click or tap on the hard drives you want to defragment. After you have selected the hard drives you will need to left click or tap on the “Optimize” button and follow the instructions on the screen to finish the defragment process. After the defragmentation is completed reboot your Windows 8.1 or Windows 10 device and try to see if it improved your RAM usage. Try to open only the applications you need in Windows 8.1 or Windows 10. If you have more apps opened that you don’t use please close them to ensure a better functionality of the Windows 8.1 or Windows 10 system. Run a full system virus scan to ensure that you don’t have any third party programs that make your system RAM take up more usage. It is always helpful in case your Windows 10 or Windows 8.1 operating system is not working at the speed you want it to reboot it once in a while. If you do a reboot of the system this would ensure that you don’t have blocked applications in your processes even though you closed the previously. Solutions from the first part of the article apply to Windows 8.1 and Windows 10 Technical Preview! So, we found a couple of more solutions that might be helpful in solving the high RAM usage problem in the full version of Windows 10. There you go, you computer should be at least a little faster now. But, if you’re still experiencing the high RAM usage problem, check out another solution below. There you go, the few options above will help your Windows 8.1 or Windows 10 operating system use only the necessary RAM memory and ensure that your system is working at the speed it is intended. 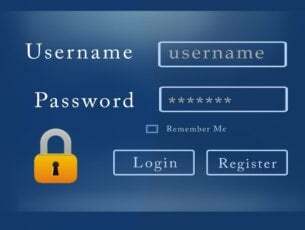 Also you can write us below any other questions related to this article and we will help you further in the quest of making your operating system work better. You can also check our dedicated guide in order to fix low memory on Windows 10, 8.1 or 8. You can sometimes get other common error: Your computer is low on memory. Do not bother if you get this error message as our team managed to create a fix guide for ‘your computer is low on memory’ and its solutions will help you get rid of this issue.